Your favorite community of apartments in East Austin is back with the second edition of the Corazon Blog series. If you’re on of the residents who read last week’s post and came back for this week’s, thanks for the support! If you’re new to the Corazon blog, welcome! Every couple weeks, your community of Austin apartments will be posting a short blog post to inform our residents about events going on around town, new restaurant and cafe openings, and apartment lifestyle advice. Whether you’re new to the East Side or a longtime resident that recently upgraded to our luxurious community, we think this blog will help you get the most out of your life at Corazon. That being said, it’s not hard to enjoy life at Corazon. Our apartments are filled with the kind of amenities that people love to show off, and our location is almost impossible to beat. That means your apartment will become the go-to spot for meet-ups before a night out. After all, hosting is the best way to make new friends and combine old friend groups. If your apartment is going to be the hot spot for your group of friends, you’re going to need to pay attention to your decorating style. If you’re new to apartment living, there are a few things you should learn about maximizing space. If you’re an experienced apartment dweller, you still might learn a thing or two, so pay attention! Check out the decorating tips below, and be sure to share this post with your neighbors in need of decorating tips! When it comes to decorating an apartment, reflections are your friend. Mirrors add space where there isn’t any, and reflect light from your balcony into all corners of your apartment. Metallic pieces like lamps, ornaments and dishes can serve the same purpose to a lesser degree. Either way, you can never have too many reflections in your apartment. Instead of keeping the corners of your apartment clutter free, feel free to add chairs, small tables and little lamps to those corners. You can actually increase the number of different rooms in your apartment if you treat each corner like its own little space. Whether you make it into a reading nook, an entertainment center or just add an extra comfortable seating area with a beanbag chair, you should maximize your corner space. Next time you go furniture shopping, don’t be tempted by the oversize chair or sofa. Sure, it looks comfortable, but it takes up much more space than necessary. It’s 2017, and you can get comfortable furniture that doesn’t take up half your living room. The same principles should apply to your tables and kitchen chairs or stools. Think like a minimalist and find the furniture with thin legs and seats. You can always buy cushions later to add extra comfort without taking up too much space. Your Corazon apartment is gorgeous, and you should let that beauty show through by picking scaled-down furniture. We’d like to thank you all for taking some time out of your busy summer schedule the most recent edition of the Corazon Blog. 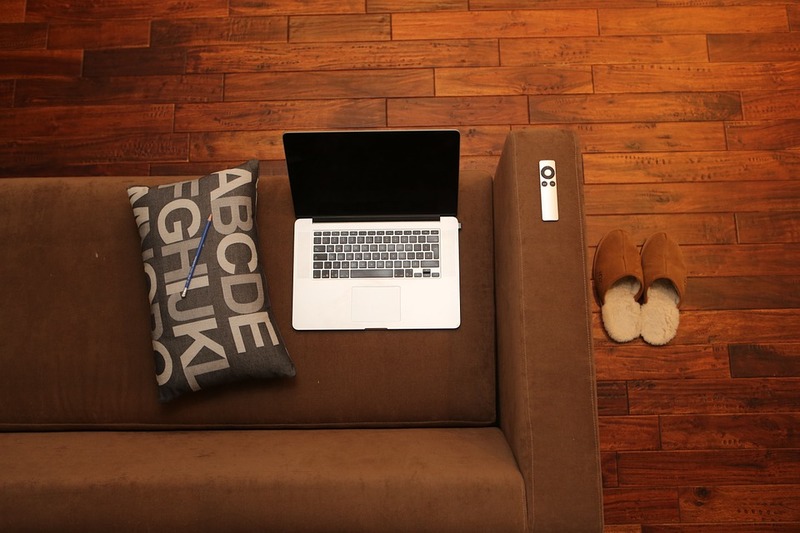 We hope this blog helps you make your apartment even more beautiful than it already is. If you enjoyed this week’s post, you should definitely check back again in a couple weeks to read the next blog. While you wait for that post, remember to follow Corazon on social media to stay up to date with the apartments Austin residents choose for luxurious East Side living.